At a ceremony at 2 Canadian Forces Flying Training School (2 CFFTS) in March, the NATO Flying Training in Canada (NFTC) program presented 14 student fighter pilots, including one from Hungary, with their coveted pilot wings, the largest graduating class in NFTC’s 18-year history. 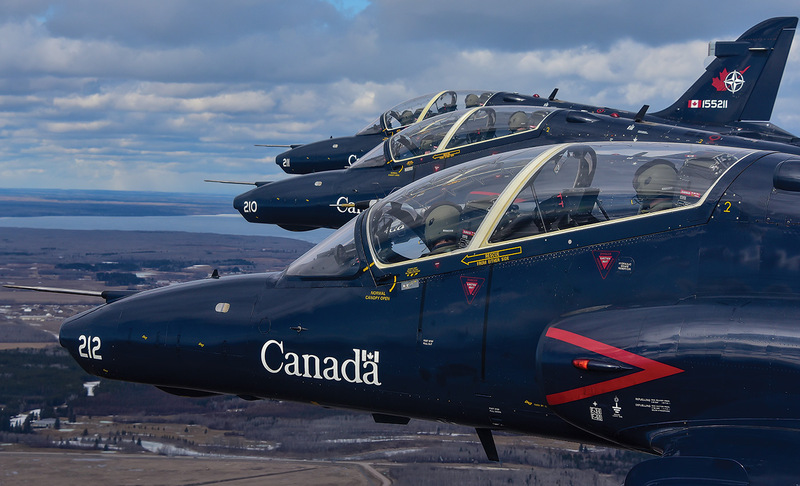 Eleven will make the journey from 15 Wing Moose Jaw, Sask., to 4 Wing Cold Lake, Alta., where they will conclude the fourth phase of their pilot training with 419 Tactical Fighter Training Squadron. Two will remain at 2 CFFTS as instructor pilots. “This hallmark achievement was made possible by the dedication and professionalism of 2 CFFTS instructors, supported by 15 Wing and our industry partner, CAE,” said Col Denis O’Reilly, commander of 15 Wing. Pilot wings are the culmination of years of challenging training through phase one on the Grob 120A, and phases two and three on the CT-156 Harvard III. In 2017, 2 CFFTS flew more than 16,000 sorties, representing more than 20,000 flying hours, making it the busiest flying unit in the Royal Canadian Air Force (RCAF) in terms of sheer number of sorties. 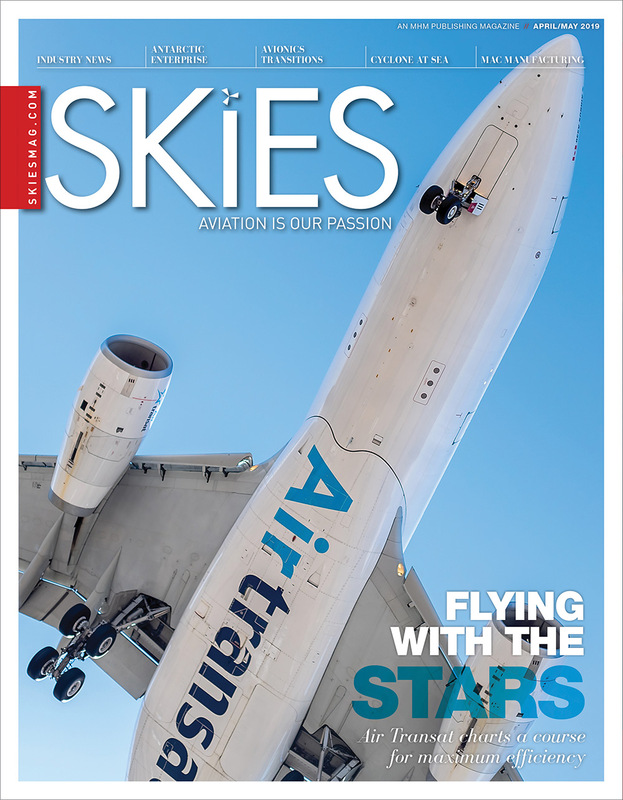 “For most pilots, the achievement of wings is a childhood dream come true. It is humbling to see student pilots realize their dreams, and it is an honour for us to train the future of the RCAF,” said LCol David Smith, commandant of 2 CFFTS. 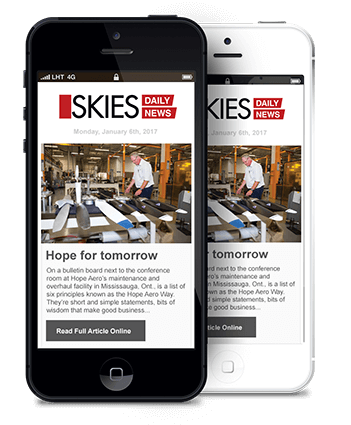 The increase in newly-winged pilots is part of a concerted effort to meet a high demand for fighter pilots. Attrition has taken its toll in recent years as some opt for careers with commercial carriers or other opportunities. But the RCAF is also preparing to accept the first of 18 Australian F/A-18 A/B Hornets in 2019 and could see the first of the eventual future fighters, a replacement for its entire fleet of CF-188 Hornets, as early as 2025. “We are going to be ramping up in the short term,” said Major Ryan Kean, operations officer for 419 Tactical Fighter Training Squadron, increasing the number of both students and instructor pilots. The current serial of courses comprises 24 students, including one from Hungary and three from Singapore, a noticeable jump from the 16 student pilots typically in the four to six courses delivered by the schoolhouse at any time. 419 Squadron provides the RCAF’s fighter lead-in training (FLIT) program, a selection program for the frontline squadrons that serves as phase four of NFTC. Those who pass then begin training with 410 Tactical Fighter (Operational Training) Squadron before being assigned to a CF-188 Hornet operational fighter unit. “We are increasing our production to meet an increased demand from the [operational squadrons],” said Kean, a pilot with over 1,600 hours on the Hornet. With an influx of instructor pilots (IP)–419 Squadron is expected to grow from approximately 13 to 17 over the summer–plans are underway to ensure each can complete the necessary upgrade course. The NFTC program was established in 2000 to provide fighter lead-in training (FLIT) geared to the collective needs of a multinational student population of Canadian, Danish, Italian, British, Singaporean and Hungarian pilots, with an equally diverse mix of instructors. Britain, Denmark and Italy departed the program in 2010, as per the original NFTC contract, prompting a change in the course syllabus in 2012 that is more responsive to Canadian frontline needs, thought it still retains an international dimension for the remaining Singapore and Hungary clients. “It has flown really well with the re-write. Things are a little more streamlined in terms of how we are getting the students from A to B, and it has proven to provide great results,” said Kean. One of the objectives with the syllabus change was to improve the pass rate at 410 Squadron by challenging students more at 419 Squadron before they step into a CF-188 Hornet. “I think the change in the required levels here has provided a stronger student to send across the way,” said Kean. 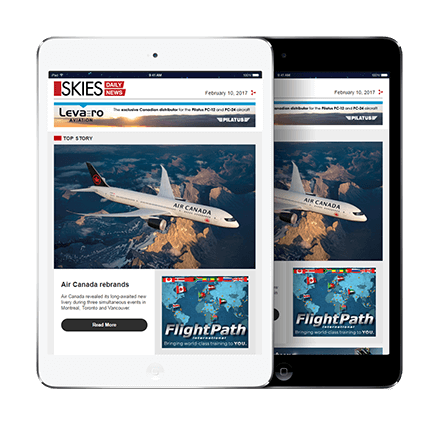 The NFTC contract, currently operated by CAE Canada, is set to expire in 2023. Although the Air Force is analyzing options for both future aircrew training and fighter lead-in training, as well as a more modern replacement for the squadron’s fleet of BAE Systems CT-55 Hawks, what comes next is still being assessed. Whether a new program with more advanced simulation systems can generate fighter pilots faster will be among the many questions to answer. The current four-month FLIT course, which can extend as long as eight months due to Cold Lake’s winter weather, consists of 37 sorties or approximately 45 flight hours per student. To meet the demand by 410 Squadron and avoid weather delays, 419 Squadron is conducting more frequent training at Naval Air Facility El Centro in California. 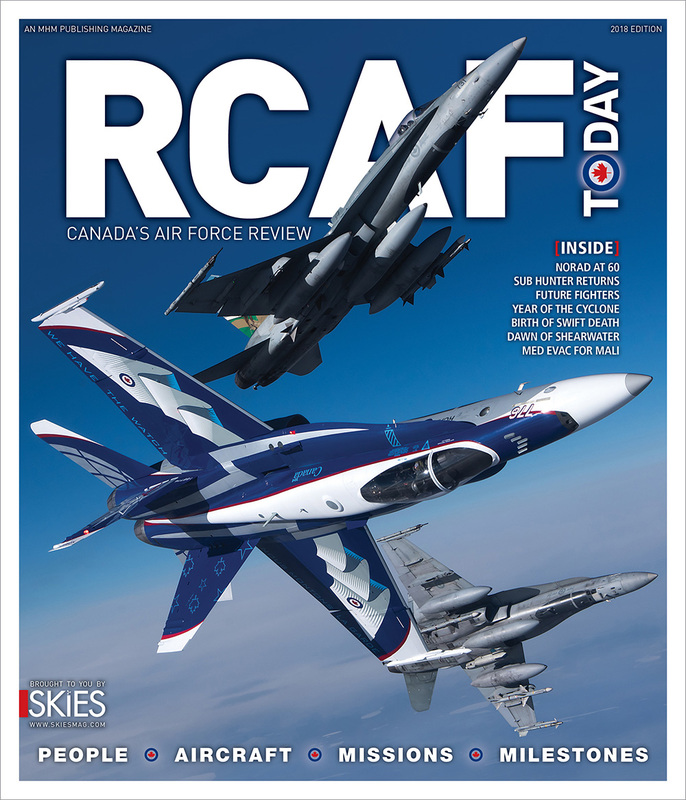 Kean added that course start dates can be shifted to “the left or right” to coincide with incoming pilots from 2 CFFTS and the pull from 410 Squadron, which in turn is facing higher demand from the four RCAF operational fighter squadrons. Thank you for a well written article by Chris Thatcher about the integral role that 419 Squadron plays for the RCAF. As a past HCOL of 419 I am very proud of the women and men who have and who are currently serving in the Squadron. As a Canadian I pleased that their efforts contribute to ensuring that Canada has among the best trained fighter pilots in the world.